Blush tones are my absolute favorite so this month I requested light pink colors for my Rocksbox (learn more about Rocksbox here). 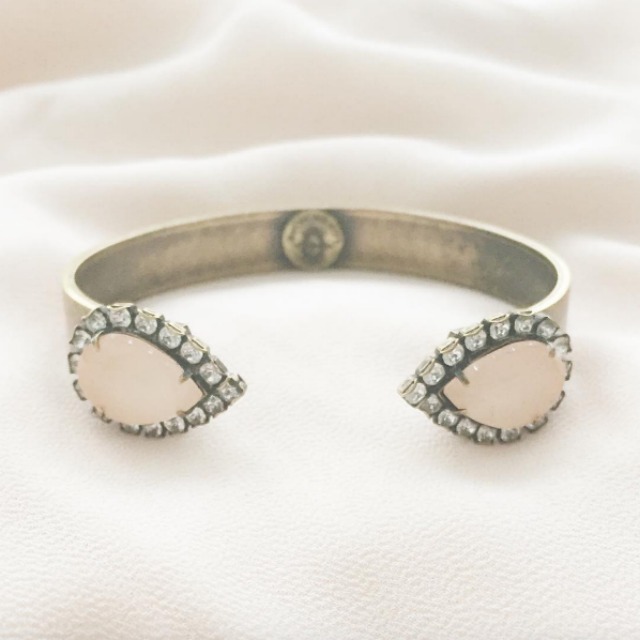 My stylist hit it out of the park with gorgeous pieces like this dreamy Loren Hope cuff! Want to try Rocksbox for yourself?! Use the code THEBLUSHBLONDEXOXO to get one month FREE! Lately I have been obsessed with mini pigs! They are too cute and I would love one as a pet. Check out my Adorable board on Pinterest to see more cute pictures like this! If you've read some of my Beauty posts then you know I love natural beauty. 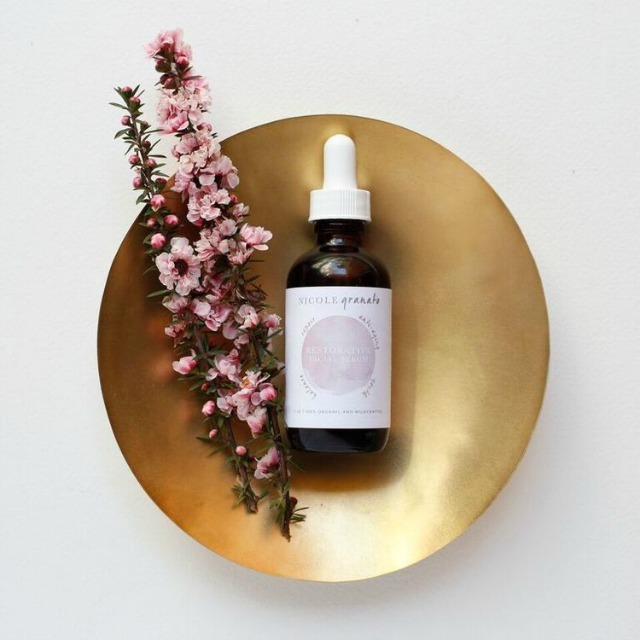 This article from Byrdie is filled with information on ingredients that are packed with beauty benefits you can eat and use topically. For anyone looking for something natural in their beauty routine this is a must read. I feel like recently I've been seeing crown braids everywhere and am really loving them for spring. They're a simple and chic look that are perfect for hair that might need to be washed. This style is sure to help you look instantly put together. 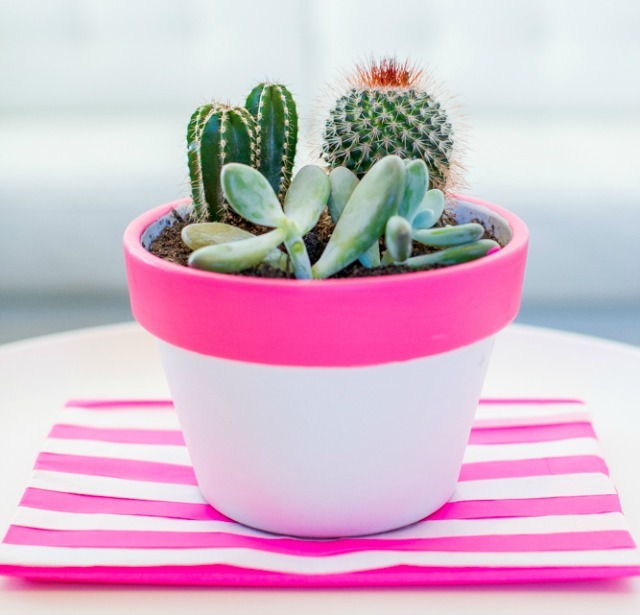 This super simple DIY instantly updates a pot or potted plant and looks too cute. My favorite part is the fabulous hot pink paint that was used for this one. With this craft you can instantly take a pot from boring to luxe in a few minutes. 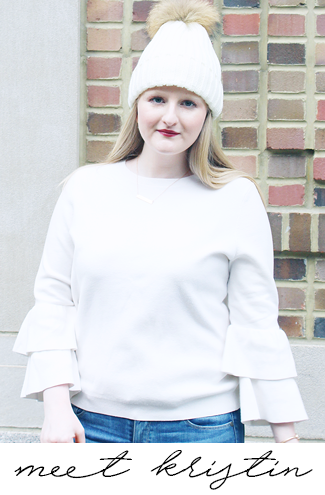 Today I'm linking up with Casual Friday, Friday Favorites, Friday Favorites, The Pick, Oh Hey Friday!, Fab Favorites, and Friday Favorites. I'm all about the natural beauty finds too. More and more they are making better products. Have a great weekend! 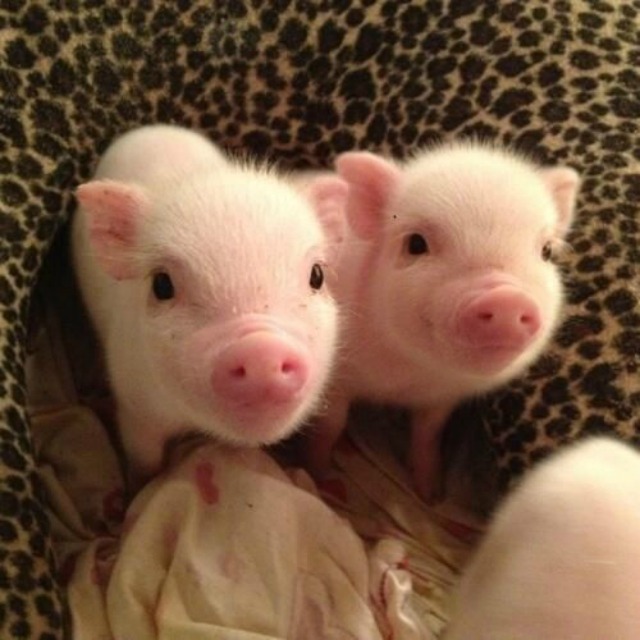 Oh my goodness the cuteness of those pigs !!! I've seen people have them as pets. 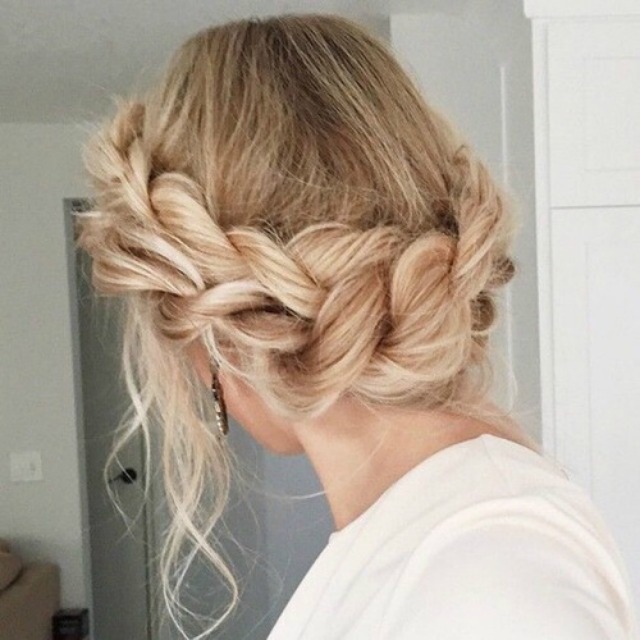 Love the braided crown ! I bought that Loren Hope bracelet when it came in my set! I feel like you would probably like this pig insta account haha -- https://www.instagram.com/prissy_pig/? I really love that braid! I want to do something like that cactus when I move into my new place. I totally love all of your favorites this Friday! The braided crown is to die for and I am obsessed with your Rocksbox this month!